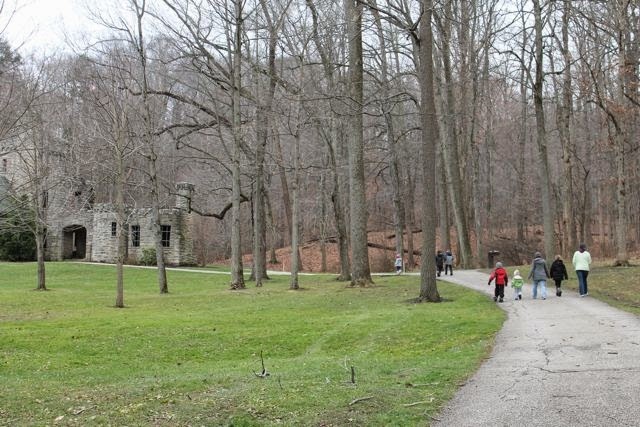 We were driving to Squire's Castle in the Cleveland Metroparks to celebrate David Macaulay's birthday when I turned to my wife and said, "I feel blessed to be doing this today." My wife asked why and I said, "Because the kids continue to be excited about these crazy adventures I plan and the weather is perfect for a November day. Also, we have friends that are coming along with us for this celebration and I have been wanting to celebrate Macaulay's birthday for a couple of years." It probably wouldn't surprise you that this author birthday celebration was the day before Thanksgiving. I guess I was feeling thankful! David Macaulay is the author and illustrator of over 20 books including Ship, The Way Things Work, and Black and White (1991 Caldecott Medal Winner). At the Rhode Island School of Design, Macaulay studied architecture and spent one of those years studying in Rome which later influenced many of his books (City, Angelo, and Rome Antics). "I realized after graduating from architecture school that I wanted to illustrate books, but not about architecture. I had a quite different direction planned -- a much more playful, fantastic career of purely imaginative picture books." (National Building Museum). However, Macaulay's knowledge and understanding of architecture were noticed by his editor when he was working on sketches for a story about gargoyles and a cathedral. His editor thought, "It would be much more interesting to have a children's book story about architecture than one about gargoyles." This exchange of ideas led to Cathedral (1973) for which Macaulay was awarded his first of two Caldecott Honor awards. In 1978, Macaulay received his second Caldecott Honor award for Castle. 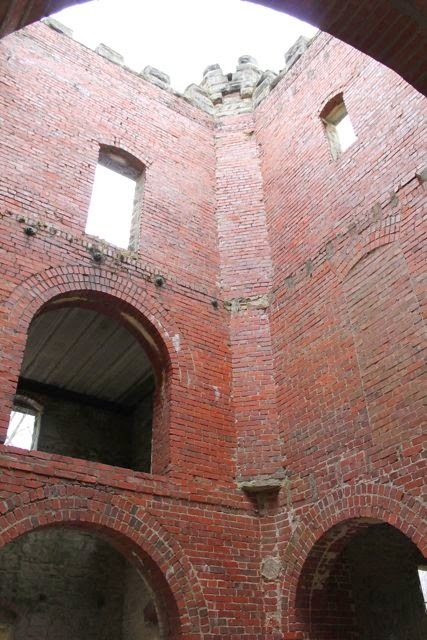 This fascinating book explains step-by-step how a castle was built. It begins with the selection of the perfect location, continues with the details of the construction, and concludes with an invasion that tests the castle's design and strength. The story, characters, and the castle in Castle are fictitious however Macaulay's storytelling provides him the opportunity to accurately depict how people would have built a castle in Wales during the 13th century. Castle was recently updated with a new edition. It is now in color and more than half of the illustrations "display little of no resemblance to their predecessors." (Castle, 2013). You can also find Castle on DVD from PBS and in a "My Readers" edition, Castle How It Works (Level 4). David Macaulay said "The more you look. The more you learn." (THE BIG DRAW). My family tried to put this into practice by exploring all the versions of Castle. We read all the editions and watched the video which allowed even my youngest children to learn about castles. After reading the books and watching the video the only thing left for us to do was to visit a real castle. So, I booked flights for the whole family to Wales. 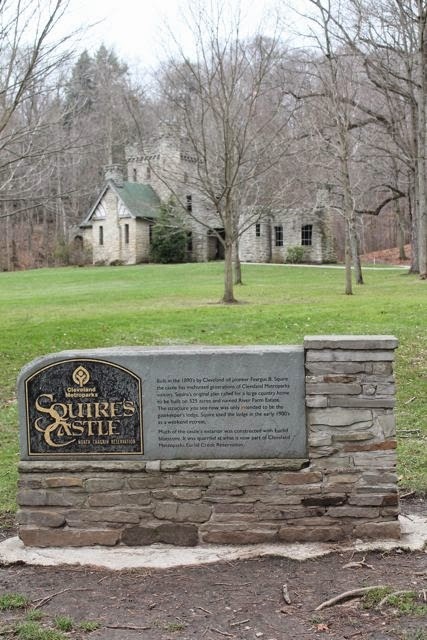 Actually, about six months ago, a friend told us how much they enjoyed their visit to Squire's Castle. She said if we ever wanted to go to let her know and they would love to go back. I told her, "I will need a visit to a castle in December." Thankfully, our families were able to plan a trip together to explore the perfect local location to celebrate David Macaulay's birthday. 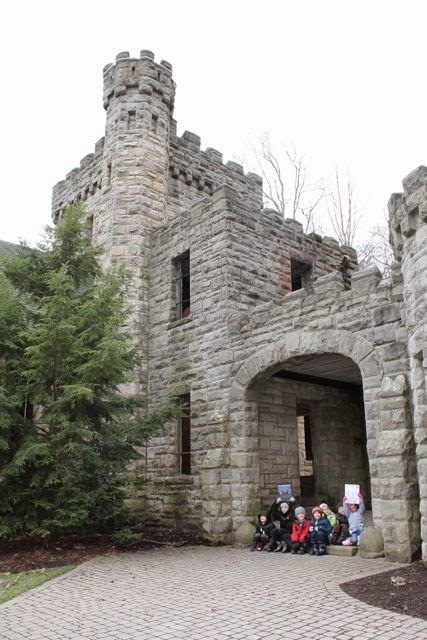 Squire's Castle was built in 1890s by Feargus B. Squire to serve as the gatekeeper's house for his 525-acre estate. However, the estate project was never completed and he sold the property in 1922. The scenery was beautiful. 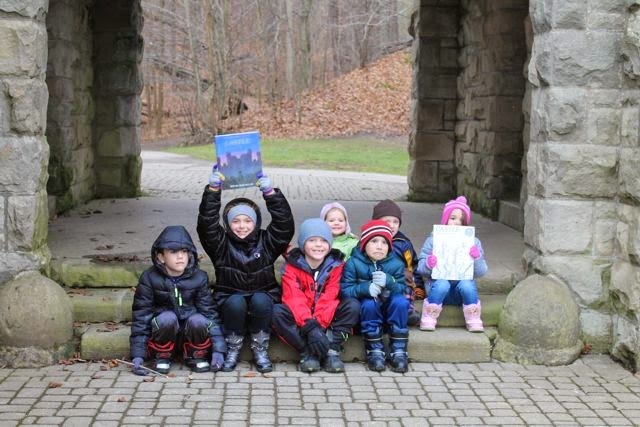 We were excited to find a hiking trail in the woods behind the castle too. Our friends showed us around the castle when we arrived. I attempted to take photos from different perspectives much like Macaulay's books. I later found out that many feel the castle is haunted. 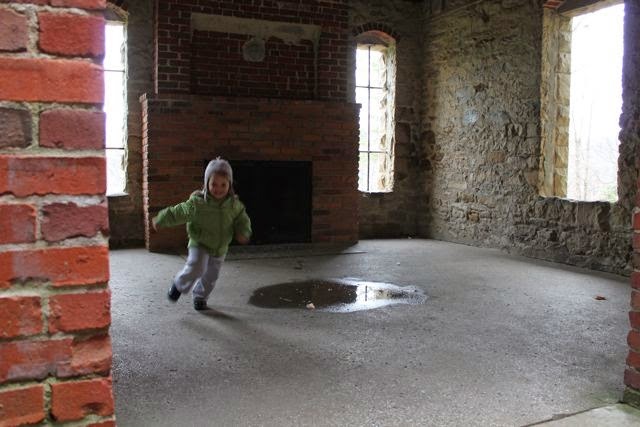 Spirits have supposedly shown up in photos. Do you see anything? 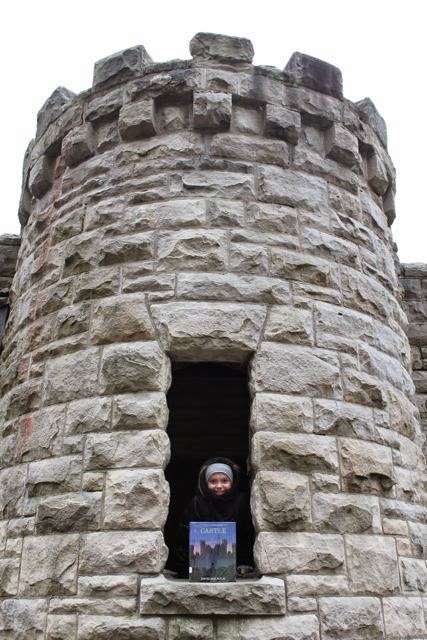 My youngest daughter enjoyed spending time in the castle. David Macaulay enjoyed spending time in castles when he was younger. He stated in Castle How it Works, "The castle in this story is like the ones I visited when I was young. They were built in a country called Wales. I grew up in England so we didn't have to go far to see them. There are many kinds of castles in the world but these are still my favorite." My daughter said, "This was really fun!" The whole crew had a great time! Oh, there is one more reason to feel blessed. 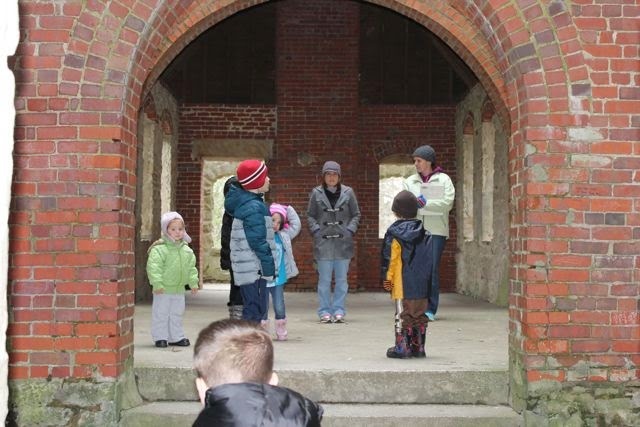 We safely returned to the castle after a two-hour hike in the woods with seven children without any tears! Thank you to our friends for joining us on this adventure! We had a great time!